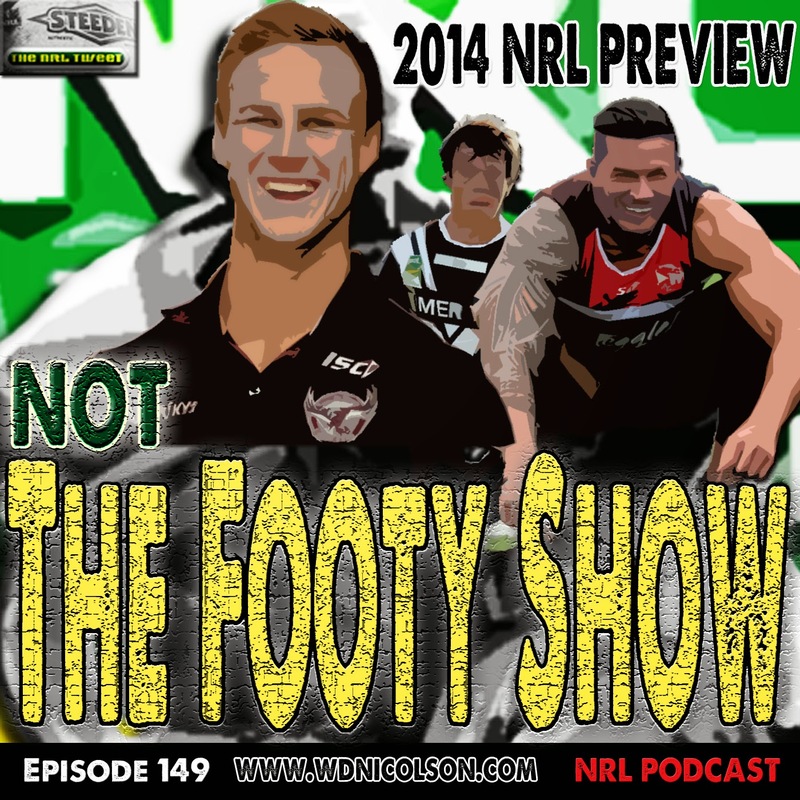 Our 2014 NRL Season Preview and 'Expert' Picks! Join Matt, Waz and DC Chapman to predict where all 16 NRL teams will finish in Season 2014 and give a host of exotic predictions for players and teams - in the way only NOT The Footy Show can. Who wins the comp? Who takes out Player of the Year? Who gets the Spoon? And plenty more on NOT The Footy Show's 80 minute Preview Show. PS. Do you want to win a NTFS T-Shirt? 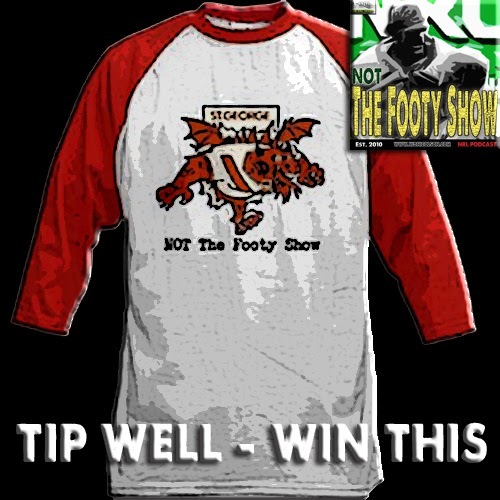 Listen to the show for the Tipping Comp code!